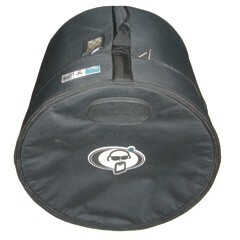 Protection Racket Base Drum Case - Robert Geary Ltd. 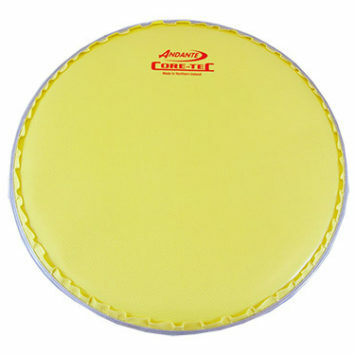 The best soft case protection for your marching bass drum. 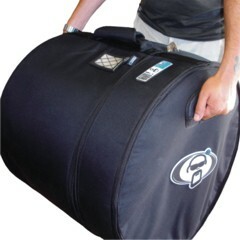 This case is made from Racketex, a highly durable 600 dernier polyester shell that is 100% waterproof. 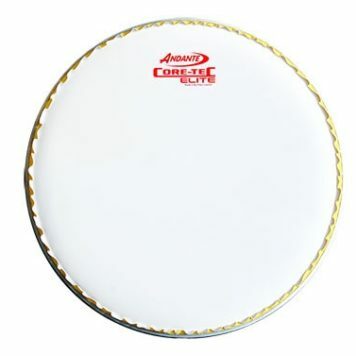 A thick layer of dual density foam adds a protective layer that will absorb any knocks. 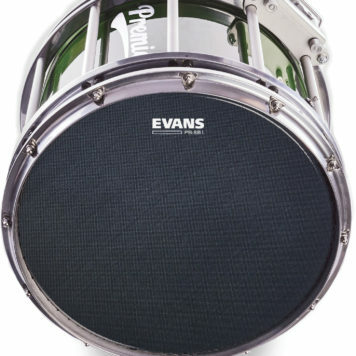 Finally, the inside of the case is lined with Propile, a non abrasive synthetic fleece that will not scratch your precious drum,and in fact will clean and polish it whilst its in transit!! 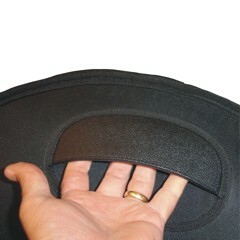 All webbing straps are ultra strong, with a 1500 kilo breaking strength, and zips used are waterproof and rotproof. In fact, these cases are pretty much indestructable! 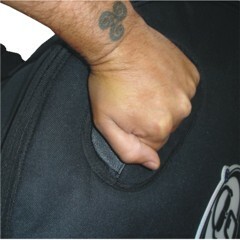 If in any doubt regarding sizing please call us on 0141 882 1520.